How to get a better reach / finger spread on the neck? I have some problems with the reach when playing the F5, 3 string chord for example. Any exercise tips you guys can give to me? Playing any chord that need to skip a fret or 2 in between makes my fingers cramp and the wrist hurt btw. Guitars: Squire Standard Stratocaster and Squire Affinity Telecaster. Squire, Vintage Modified Jaguar ( Shortscale ) bass. Amp. Blackstar ID Core BEAM. Re: How to get a better reach / finger spread on the neck? Very likely a posture problem. Most beginners for what ever reason think they can assume one posture, hand, arm, position and be able to play any chord, scale, stretch. So without seeing, I woul dguess body mechanics is at least part of it. One thing you can do that may help. You know the dunta dunta blues riff. 5th adn 6th string. then index, ring, pinky doing the dunta dunta dunta dunta. Instead do index middle pinky. the index middle is a mild stretch. That in turn makes teh middle pinky thing very easy. Got that tip from Chris Buono. IT works, it does stretch your hand, it's immediately useful. It does take a bit of getting used to as you have to offset the muscle memory from doing it the index ring way. Start on the 5th fret with the stretch you're having trouble with and drop a fret at a time when it becomes easy. 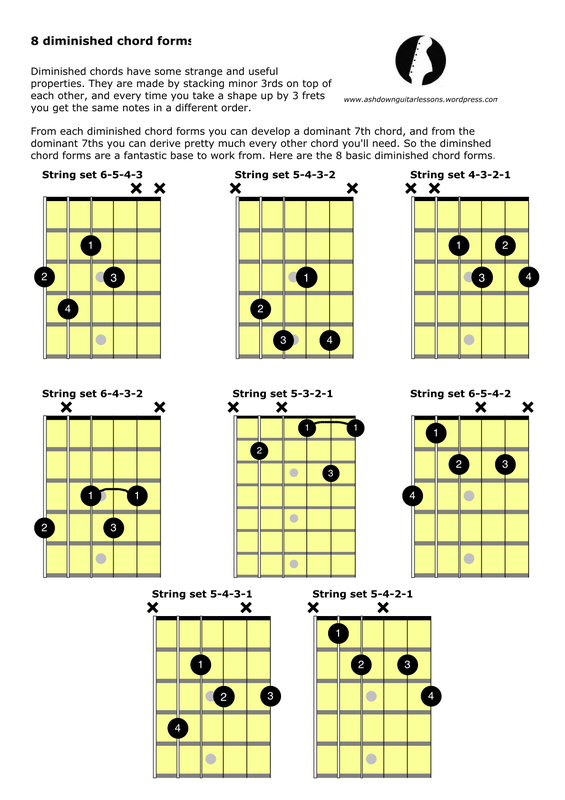 This is a nice chord to learn that will stretch your hand too. Move the 1 up a fret. That's a C#9. Now put the 1 back where it is in the diagram. That makes it C#m9. Now move the 4 up a fret. That makes C#m#9. Try that followed by one or more of these grips. That will get your hand contracting and stretching. Don;t expect miracles over night. Just keep doing it. Yeah, I guess that I have thought so too. Thank you for the tip about dunta, dunta. Will try this. Well, with all the good exercises you and the other guys have told me about now. I 'm sure that I will manage after a while. I’m trying to improve my finger spread, particularly that of my awkwardly shaped little finger: what is dunta dunta? I'm guessing from the first mention earlier in this topic that dunta dunta is what Justin describes as chunka chunka. Covered in 12 bar blues lessons late stages of BC.